Regular home maintenance check-up is very important in every house to spot minor problems in the interiors and exteriors of the house, as well as the plumbing, wiring, roofing and other house areas that aren’t visible. Make this a routine and a regular maintenance check-up as problems often occur at any time of the year. You can do the checking on your own or hire an expert to do the job for you, but for an additional cost. 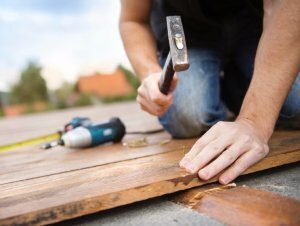 If you plan to do the house repairs on your own, but don’t exactly have the idea where or how to start, Sara Elliott of How Stuff Works has listed the most important home repair skills you must know. Read the article below to learn more. Whether you want to paint a whole room or just need to cover a nail hole, nothing helps to maintain or improve the appearance of a room like paint. You haven’t owned a home very long if you don’t have paint spattered work clothes in your closet and a couple of paintbrushes in your basement or garage. 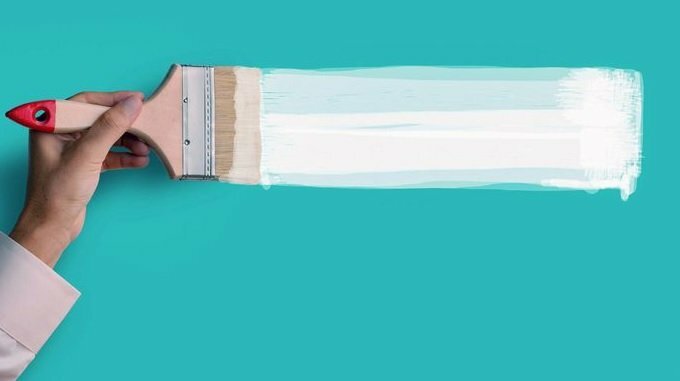 Sprucing up your rooms with paint is one of the best ways to show your home to advantage, but before you start collecting color swatches, there are some things to keep in mind. Painting, when it’s done well, can increase the value of your home and add style and flair to your space. When the job isn’t done well, and it’s easy to see roller marks, spatters, and sloppy trim paint, it’s almost as bad as leaving cracked and peeling paint on the walls. You’ll achieve the best results when you prepare for the job. Where painting is concerned, prep is king. Good preparation takes time, but it also makes the actual painting easier. You have doors all over your home, and even though they look innocent and simple, doors need occasional maintenance and repair. From squeaks to sticking, door problems are usually minor but can be a nuisance. When it comes to home repairs, there are certain tasks you must know how to do regardless of the condition for they are very important. That includes fixing broken doors, paint jobs, plumbing problems, etc. Knowing how to do these utilities can save you time and money rather than hiring someone to do the job for you. Doing these repairs and maintenance little by little will put you on a huge advantage the moment you decided to sell your house in the future. However, the above mentioned are only the basics. If you plan to sell your house, there are other maintenance routines you must do, and Jamie Wiebe listed the most important repairs to make before selling your house. There are some important repairs to make before selling a house, so don’t be in too much of a hurry to get your home listed. Selling your home might feel like a rush to the finish line. The market is hot right now, you think—so you should hurry up while you can still get a good price. Or perhaps your dream home was just listed, but you can’t move in until your current place sells … so you should expedite this, right? So take the time to sell your home right. These six important repairs to make before selling a house will make your home sell faster and for more cash. And some of them aren’t even very much work. By the term important meaning that they must be done with utmost urgency. Don’t be in a hurry to put your house in the listing page. You might get tempted with the high home prices, but fixing your house will increase your house’s value. Check out this article written by Jack Guttentag about fixing the home before selling it. Houses almost always look better when furnished than when empty — they also look larger! If you are moving to another residence and plan to take your furnishings with you, if possible, arrange things so that you show the house before you move out of it. Structural Defects: Every house has defects, some obvious and others hidden. Both types will affect the price a buyer is willing to pay. It is a mistake to think that a potential buyer will assume that the only defects that exist are those that are visible. When it Pays to Fix the House Before Sale: There are two circumstances that favor fix-up before sale. One is where there is a large variance in the cost of the fix-up, and a potential buyer is likely to over-estimate the cost. In the case of a septic system, for example, the cost depends on the condition of the soil, and if the seller knows that the condition is favorable and the cost low, it makes sense to fix it before sale. There you have it, regular home repairs, fixing and maintenance is crucial not just to preserve the home’s condition and durability, but also its worth. Also, doing repairs little by little is much cheaper and efficient than doing the major fixing, or worse renovation if fixing does not work anymore. Always think ahead, when the time comes you want or need to sell your house, you don’t have to do rush repairs that also adds additional cost. IF you have done all the needed repairs and is ready to sell your house but don’t know where to start, Dependable Homebuyers can help you in that matter. We have helped hundreds of people who want to sell their house fast in Baltimore and other areas. Visit our website https://www.dependablehomebuyers.com to get started.